Are you facing alopecia or a receding hairline? Don’t worry, you are not the only man facing this hair loss issue, a research suggests that almost 50% of men go bald by the time they celebrate their golden jubilee. Women also face this problem, but it is not as common in women as it in men. The problem can be effectively treated in a number of ways, both at home as well as at a doctor’s office. Using laser combs is one of the methods to address hair loss problems in both men and women. These combs emit rays that stimulate hair growth and reverse hair loss. Before you start the treatment, go through the manufacturer’s instructions. Most of the laser combs are similar in operation but it is important to read all the instructions provided by your manufacturer. Wash your hair thoroughly with your regular shampoo and dry them completely using a clean towel. You can also use hair dryer, set on medium heat to dry your hair. Once your hair are ready for laser treatment, plug in the comb and turn it on. Some combs do not have a turn on, turn off knob - they are ready to use as soon as you plug them in. Place the laser comb at the top of your head, so that it lies flat against your scalp. Hold the comb there for four seconds. Some combs have a built-in feature that informs you after 4 seconds that it is time to move on. If your comb does not have an automatic notification, manually count for four seconds. 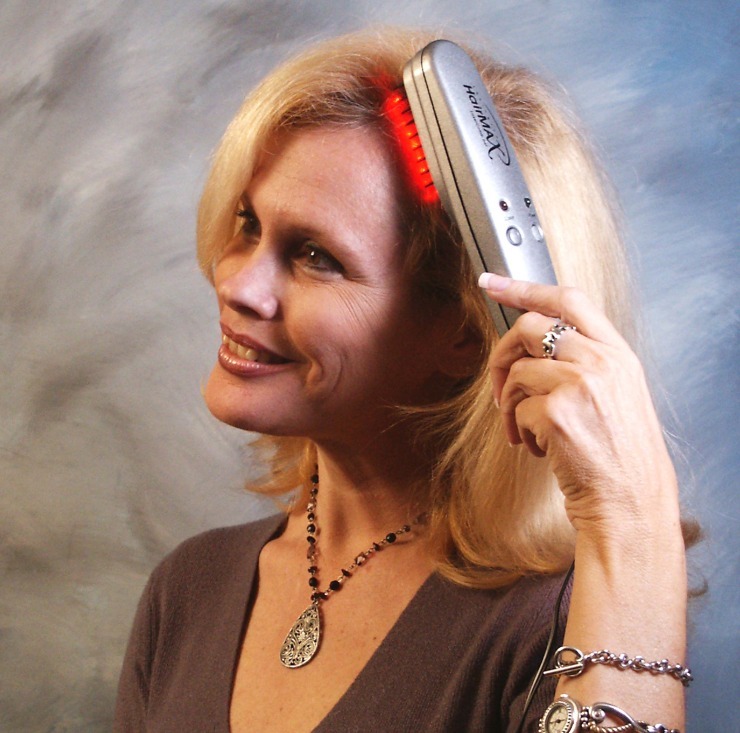 After four seconds, move your laser comb further (just half inch) on your scalp. Again wait for the comb to beep or count the four seconds yourself and then move the comb again. Keep repeating this process until you have reached the back of your head. Once you have combed your head from the top to the back, repeat the procedure, this time staring from the base and finishing at the top. The whole process will take 15 to 20 minutes. Turn off the laser comb and unplug it. Place it back in the casing and store at a place where children would not be able to reach it.